You’ll note that scores are normalized for a maximum value of 70 (combined with the 30 points Test #2 written submission to equal 100 points for final judging). Test #3 scores as they appear on the Leaderboard have also been normalized to 70 points when for ease of comparison. Teams have now been notified of their status in the AlphaPilot Qualifiers and additional scoring details released in the coming weeks. Congratulations on fantastic Qualifier entries! We cannot emphasize enough how impressive they’ve been. Watching the online community develop has been inspirational. Your collective effort, enthusiasm, and technical performance has blown us all away. Bravo. We hope this has been a fun (yet challenging) experience for you as well! We’re sure you’re all eager to see your final algorithm scores. They can now be found on the ‘Leaderboard’ tab. Please note that these are not your Final Qualifier Scores – they are just the quantitate scores for Tests #2 and Test #3. Remember, your Final Qualifier Score will combined these quantitative scores with Test #1 scores and the qualitative portions of Test #2 and Test #3. That being said, these scores are indicative of overall performance and can be used as a rough measure. 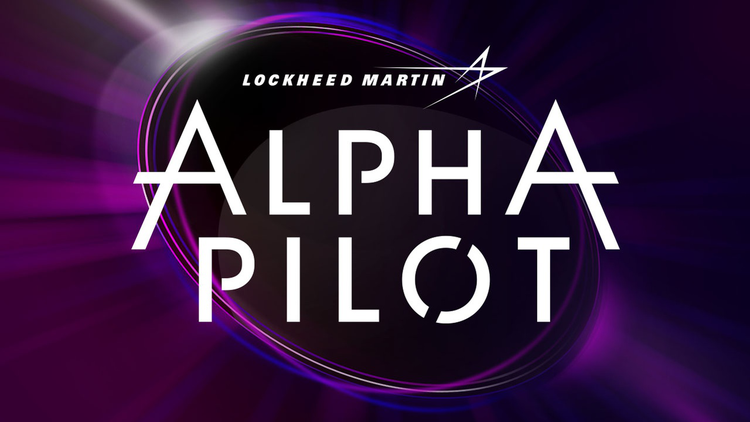 Teams that are selected as AlphaPilot Finalists can expect direct notification by April 19th. Greetings to those AlphaPilot Competitors still troubleshooting Test 3! Thanks to all the hard work teams have put in to create a Test 3 submission that runs well within our testing setup! We had a chance to do a preliminary review all the Test 3 submissions, and while many teams were successful with the troubleshooting process, we realize some teams are still struggling to generate a working submission. We will be reaching out to those teams still working and offer them until Monday, April 8th at 12PM PST to debug. With the review of Test 3 submissions, Lockheed Martin and HeroX has created a list of prioritized errors teams are facing. Today and tomorrow (April 3 and 4) LM and HeroX are looking into these prioritized errors to determine what additional guidance and troubleshooting ideas we can provide. This information will be posted to the Test 3 Forum as soon as it is available. Over the weekend, teams will have the opportunity to try implementing these (and any other) debugging ideas but support will be limited from Friday on. Monday, April 8th at 12PM PST is the final cut-off for creating a working submission. After this time, failed submissions will receive a Test 3 score of 0. We hope this helps teams that are still struggling! Due to the bugs that teams are running into trying to get ROS packages installed in our testing environment, we have decided to make the full desktop version of ROS available to teams including the base packages that come with it(ros-kinetic-desktop-full). As always, teams can include executables or additional code to compile from source. If your team requires additional ROS packages that are not included in those above, please send us a direct message with the libraries needed, and we will gather a list to make available. Given the update to the test runner, we suggest teams that were affected by this to re-upload their submission. Hoping this helps teams that are still struggling! Test 3 Submission Checking In Progress! We have now begun the AlphaPilot Test #3 Submission Checking process for all teams to use as an assurance that their code compiles and scores successfully. You will have until Monday, April 1st at 12:00 noon ET (New York) to evaluate, modify, and resubmit your code. Submitting code to the Submission Checker will generate an email with a Success/Failure output. Successful submissions will be finalized, while failed submissions may be modified and resubmitted as many times as necessary prior to the deadline. The submission checking email was sent to your team captain. If you do not see it, please check your spam folder.